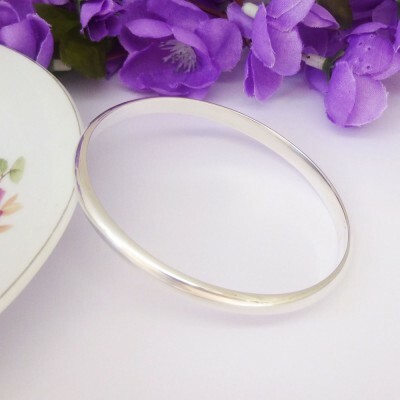 The Phoenix Extra Large Solid Silver Bangle has been handmade in the UK and is a classic, timeless bangle available in Extra Large size, perfect for ladies with larger sized hands/wrists. 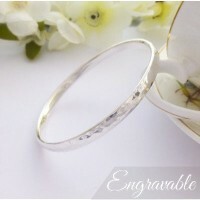 The Phoenix is a 'D' shaped bangle making it the perfect bangle for engraving on the flat interior. This Phoenix Bangle is a solid 925 sterling silver bangle which has been handmade in the UK exclusively for Guilty Bangles. 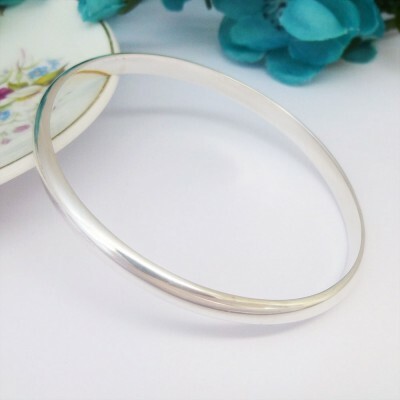 This is a highly polished bangle that has a glamorous and stylish look to it. We love the look of the Phoenix silver bangle and it is already proving to be a very popular bangle in our exclusive collection. 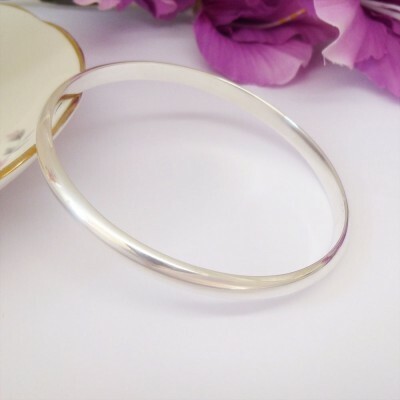 A very beautiful sterling silver bangle that would complement all ladies wrists and with it's timeless design, it will definitely be a bangle to treasure! 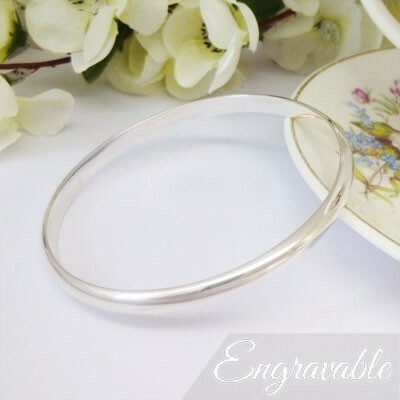 The Phoenix Extra Large Solid Silver Bangle has an internal diameter of 71mm and the thickness of the bangle measures approximately 5mm wide. Subject to availability, the Phoenix is also available in small wrist, regular wrist and large wrist sizes. 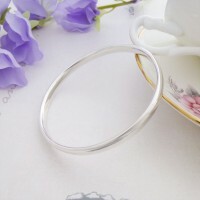 The Phoenix Extra Large Solid Silver Bangle is handmade in the UK. 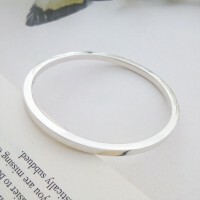 The internal diameter of the Phoenix bangle measures 71mm.